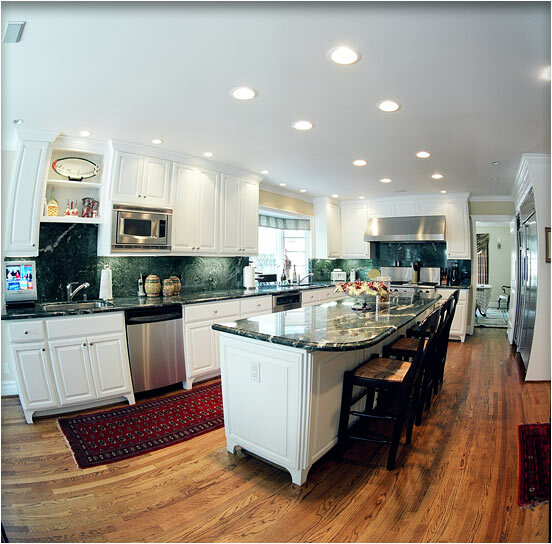 Larger Project 5-7, Expanded Kitchen » Roger Perron Inc. This is an expanded kitchen. Prior to the remodel, the rear yard was out of sight. This picture was taken from the breakfast room. The cabinets are painted white and the countertops are granite. The floor is the original oak hardwood flooring. A portion of these cabinets was already there and during the remodeling we matched the new ones to them perfectly.